Lately I have had some major writers block. A lot of what I do at my day job revolves around creativity in writing, graphic art and brainstorming new unique ideas. As my job demands more of my brain I find my myself unable to accomplish all I want to do with my blogging. I never want blogging to become a job, or something I feel guilty about walking away from for a few days. Unfortunately my inner nature does not allow me to avoid this guilt so when I missed my first Sephora Saturday post last week I have felt miserable ever since. This week my effort outside of work has been to keep moving on a story I started called Call Me Ishmael. This story developed from a Daily Prompt and has become a real creative outlet for me. After getting some really useful feedback from Izzy Grabs Life I have felt compelled to write more and write better. I want to be deserving of the time and effort other bloggers have put into reading my posts and writing comments to help me grow as a writer. If you have experienced this same writers block please let me know how you’ve handled it. Are there any particular tricks to getting the creative juices flowing when they have basically run dry? 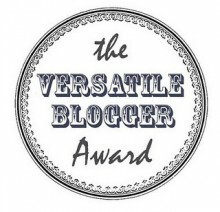 Thanks so much for all the feedback, I appreciate all the comments, as each one helps me become a better blogger. “Are there any particular tricks to getting the creative juices flowing when they have basically run dry?” Tequila. Though if you prefer the teetotalist version: a long walk in the wood. I really like the tequila idea though I may substitute it for my drink of choice which includes Stoli vodka. That’s right! Nabokov here you come! Sounds like you’re work is pretty demanding,,so don’t be so hard on yourself! Maybe readjust your blogging goals? Take a hot bath, a walk outside, a long drive, some meditation? Thanks! It’s hard to not feel guilty. I think I’ll try and go somewhere and write. Also reading other blogs is helpful. First of all thanks a lot for coming back to the blogging world with wonderful post. Don’t worry or feel guilty about anything; because, as you know; it happens with everybody and one more thing; most of the bloggers are not professional writer; so, apart from blogging there are many priorities in our life and it needs to be fulfilled at the proper time. So, some time it happens with all of us. Thank you so much for the kind words. I will remember that.